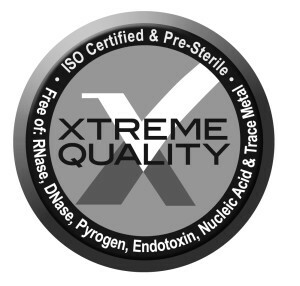 At Biotix, we focus on Xtreme Quality. This means producing the highest quality manual and automation tips the industry has ever seen. Our quality process begins long before the manufacturing stage. It starts with understanding your needs. Our production floor is a tightly controlled environment where everything from temperature, humidity and air particulate is monitored. These production measures, coupled with our rigorous inspection requirements, ensure that our products are molded to strict quality specifications, making us the most consistent tip producer in the industry. We use a technically superior lot control system to maintain total quality control down to the smallest detail. With Serial Numbering down to the individual tip tray and CV Testing data printed on every box, you can see for yourself the stringency of our process. As a result of these efforts, you are guaranteed the best possible product for your laboratory.